Apple’s meticulous focus on design and usability is one of the hallmarks of its products. That attention to detail is evident in almost every Apple product, but iOS devices epitomize Apple minimalist approach and its goal of removing any barrier between the user and a great user experience. Unfortunately, not all iOS developers or mobile web developers get to that same level of minimal and effortless design. 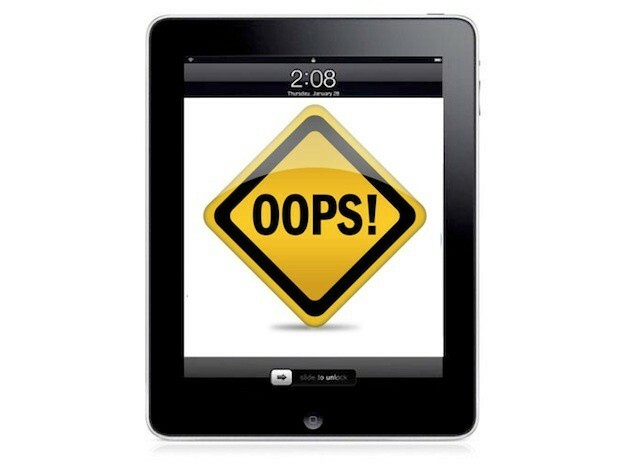 There are probably hundreds of small ways that developers can miss the mark when designing iOS apps or creating content designed for mobile devices, but Gartner research director Johan Jacobs notes that most mobile app/experience design failures boil down to ten common mistakes. Jacobs notes that, in the effort to get a mobile app or site out the door as soon as possible, many companies don’t stop to consider a handful of key details. Many of Gartner’s ten mistakes mirror design concepts embraced by Apple and the late Steve Jobs. Some are also self-evident to experienced iOS or Android power users. Violation of the “three-click/tap/press” rule. Applications must not use more than three key strokes to get to the required functionality. Each additional keystroke typically adds complexity and often stops the user from returning to the application. Difficulty with ergonomics, especially text input. Just because your web content fits onto a laptop browser screen, this does not mean it is suitable for a mobile device. Mobile content needs to be simplified and repurposed for each user device. Not reusing learned behaviors — such as soft keys, navigation. Mobile applications need to pick up the user’s habits on the phone. For example, if “autocomplete” was switched off on the phone settings then don’t use that option in your mobile application — because the user clearly dislikes that functionality. Violating “security 101.” As with laptop and desktop applications, mobile applications need to comply with security requirements. Authentication, encryption and secure login should all be part of any mobile application architecture. Difficulty with navigation. Standard Web pages displayed on a mobile device often have content disappearing to the right and off the bottom of the screen. To navigate, users have to scroll left-right and up-down to try and find basic functionality such as the “back” button. Ensure that navigation buttons can be easily accessible at all times. Burying most important functions. Due to the limited screen real estate, mobile application designers must ensure that the most important functionality is right at the start of the navigation journey, as opposed to layering functionality deep down in the application. Incorrect or illegible display of text or graphics. Many mobile devices are still not smartphones and have limited graphics processing capability. Pushing large graphical images and video text to the mobile device could result in a very poor quality experience for the user. Inability to revise mistakes. Few things are as frustrating on a mobile device as trying to get the cursor to the middle of a word or Web address to correct a typing error. Always have two “back” buttons — one that erases text and one that does not erase text but will allow the user the opportunity to correct typed mistakes. Content visibility. Sunlight is one of the worst enemies of mobile applications, because it often makes the text on the screen illegible. Employ the best practice of “bolding” the most important pieces of information on the screen. Resource inefficiency — draining the battery, excessive network round trips. Mobile applications must have a stop-start capability to allow the user to stop an activity or data entry and then return to the same point without having to re-enter all the content. This capability is needed when the device has to be switched off mid way through a transaction — for example, when flying or when the battery runs out. Jacobs also points out that mobile technology is becoming our most common computing experience, and that solid user interface and experience design will play an ever-increasing role in business, commerce, and entertainment. Fumbling a mobile experience can have long-lasting consequences – just like fumbling a purchasing or user support experience. That said, it’s easy to see why many companies are rushing their mobile development – most of them have no official mobile presence and are trying to get into the mobile space as quickly as the can. A study late last year showed that 70% of businesses lacked a mobile version of their website.